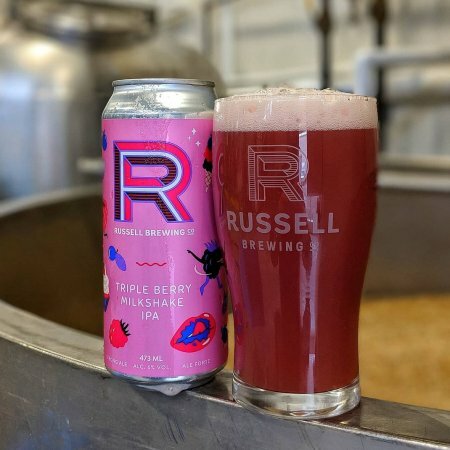 SURREY, BC – Russell Brewing has announced the release of a new limited edition beer. Triple Berry Milkshake IPA (6% abv) is described as a “fruit bomb” that was brewed with 190 kg of raspberries, 250 kg of blueberries, and 250 kg of blackberries. Triple Berry is available now in 473 ml cans at select liquor stores in British Columbia.